When an auto manufacturer debuts a new concept car, you can usually tell right away whether it falls under the “extreme and will never serve as anything but inspiration” category or the “looks just about ready to go into production” category. When Mitsubishi first unveiled the Ground Tourer PHEV concept (or GT-PHEV) at the 2016 Paris Motor Show, we thought it fell mostly under the first category. Its visuals looked just a tad too daunting to make it to production, but now Autocar is reporting that not only will the visuals be applied to the best-selling Outlander but also to the rest of the Mitsubishi lineup. On second thought, it probably shouldn’t come as a surprise. The Ground Tourer’s massive grille and narrow headlamps that are slated to become Mitsubishi’s signature designs look particularly at home on crossovers and SUVs, and it just so happens that crossovers and SUVs are just about all that Mitsubishi is interested in producing. The Japanese automaker is expected to launch two new crossovers in 2017 and 2018, respectively, after which the next-generation Outlander will make its debut. The latter will definitely embrace the GT-PHEV’s design and the previous two models may as well. 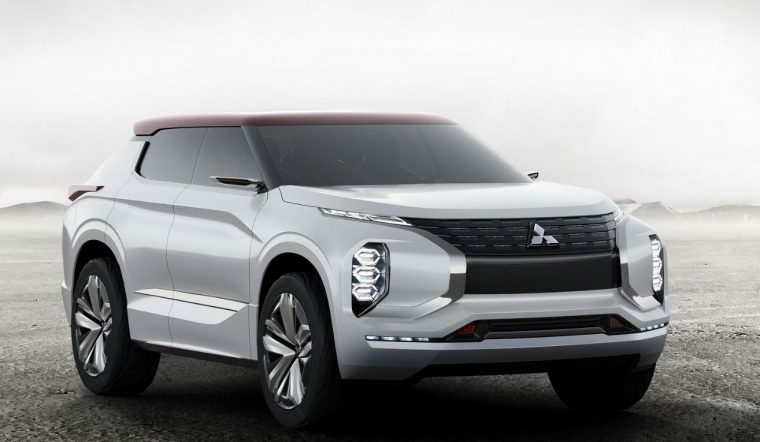 According to Mitsubishi Global Design Chief Tsunehiro Kunimoto, other visual cues that will be borrowed from the concept include its floating roof design and the elegant, interior horizontal lines that give a sense of increased space and visibility. Whatever Mitsubishi’s new models will look like, we’re just glad they’re finally making new production vehicles instead of popping out concept after concept after concept.